Maldives is one of the most popular destinations for UAE travellers as it is just four hours away and a complete opposite of the busy hectic life most of us lead here. Couples dreaming of the ultimate getaway can check out Huvafen Fushi’s picturesque island. An oasis away from the hustle and bustle of city life, this is an ‘Adults Only’ resort. With the world’s first and only underwater spa, seven romantic dining options, and so much more; this one is great for couples looking to escape real life. Maldives is amazing for families too. Treat your loved ones to a memorable vacation at the private and lavish estates of Amilla Fushi. The 4, 6, and 8 bedroom residences are perfect for families, big and small, with ‘khateebs’ or Maldivian butlers, taking care of all your needs and a ‘providore’ service that ensures you come to a fully equipped estate with your favourite goodies, snacks and necessities. 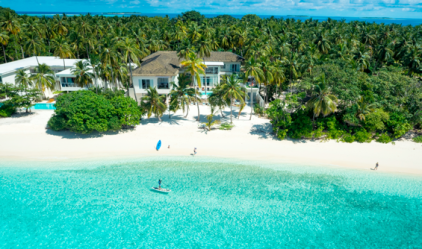 Multiple island activities like kayaking, tennis, paddle boarding, jet skiing, and diving will keep the kids and ‘kids at heart’ occupied, while the adults can lounge on beach. There’s even a babysitting service in the evenings so you and your partner can take some time off. 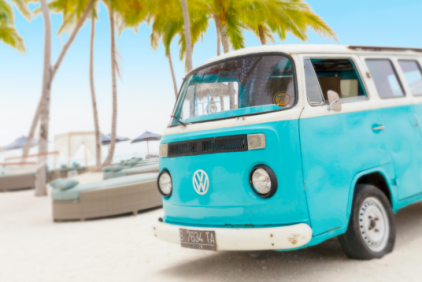 Finolhu is unlike other resorts in the Maldives as it’s reminiscent of fun vintage beach vacations with its classic design, retro touches and laid-back ambiance. The island is the perfect destination for friends or a group of lively couples looking for an unforgettable holiday. The island also offers a myriad of water sports, beach games, crafts activities, and more to keep everyone entertained throughout their stay.